If you have specific qualifications for your Metal building we have a design team ready to assist you with your custom design metal building. 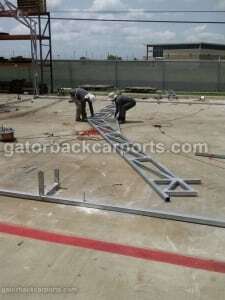 We build commercial buildings 60 wide and up to 200 feet long or larger. 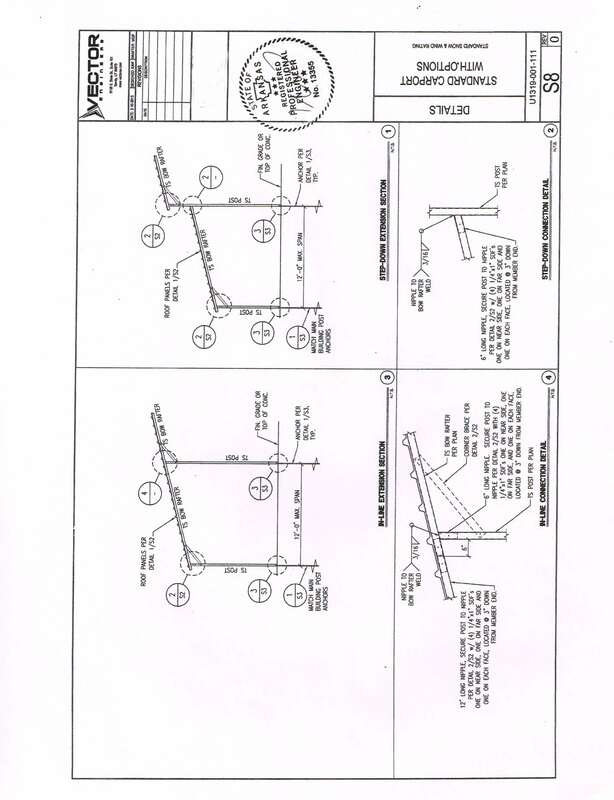 Custom requirements, tie ends can be accomplish by our engineering department as we work with you in the design of your steel building from the ground up. We can get you blue prints quick. 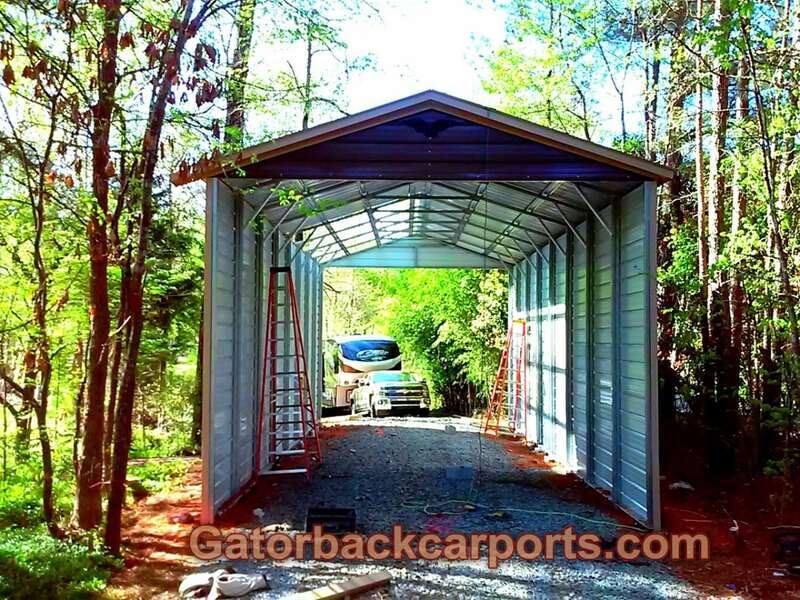 With Gatorbackcarports.com online pricing system for commercial building systems you can create 1000’s of design changes, and enjoy seeing the pricing change with the design if the privacy of your on home. Prices are up front and constant. 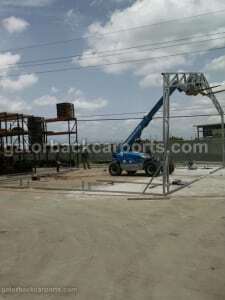 If you need a special custom building then you can use our quote form. 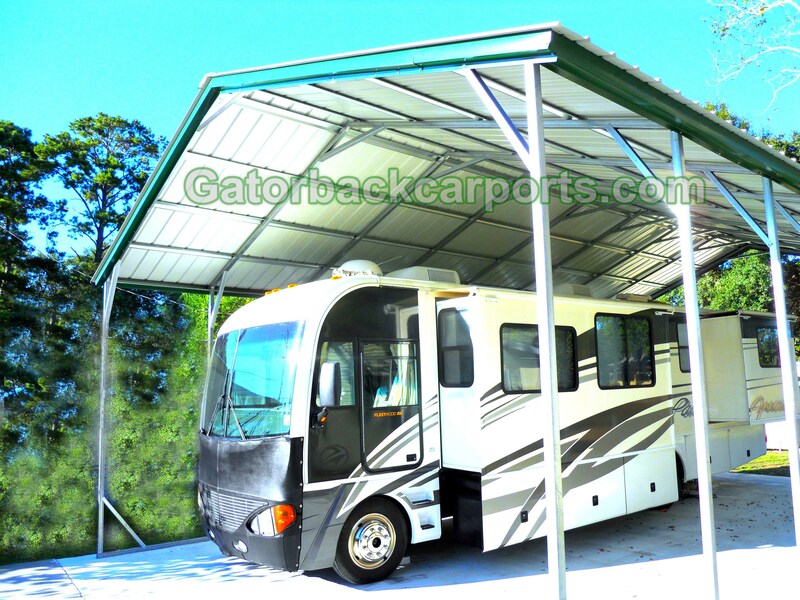 At Gatorbackcarports.com we always quote your building with installation costs, and shipping costs included with the exception of freight fee’s if your building is over 40 feet wide, or 40 feet long. Our Pre-Engineered Building Systems come with design loads to meet your local building codes with wind loads up to 170 MPH. Permitting Offices in your locality will give the specific requirements for your building although you may live in an area where permitting might not be necessary. 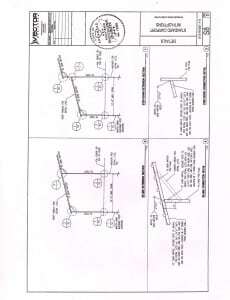 Pictured above is the design to attach to per-existing building by design team. 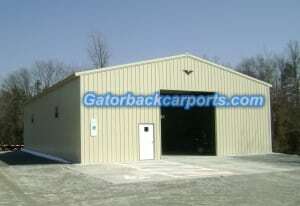 We can design many custom metal building styles to fit your needs. 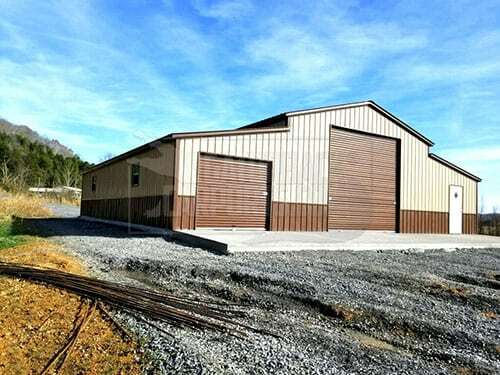 We also prefabricate modular buildings, agriculture buildings, clear span buildings, barns, combo buildings that utilize open covered areas with enclosed units, and much more at our manufacturing plant. With our prefabrication process all the details of engineering are completed at our factory to meet your design requirements then shipped to your site build ready. There are normally no cuts that need to be made on your structural components , trusses, and framing which means we build your building quick. 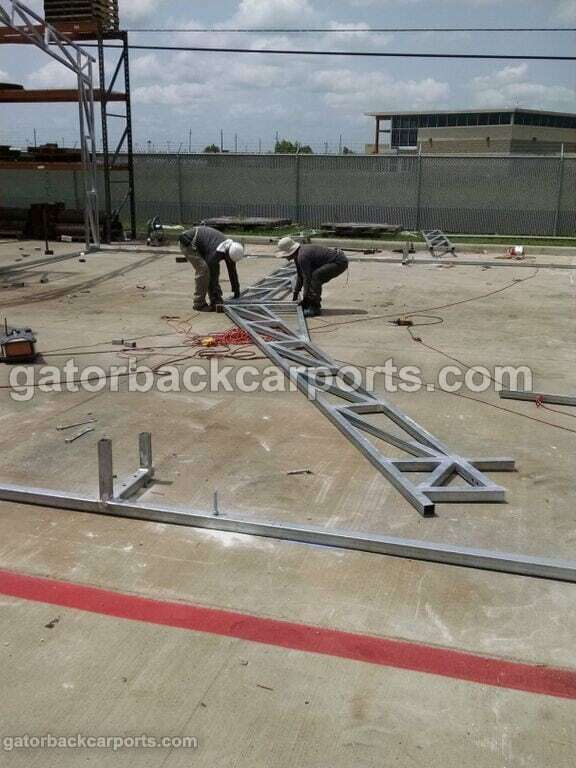 Normal construction takes weeks, and months to finish a job, but all our welding, and work is done before it arrives at the job site so you avoid all the extra work, and costly time of hands on extra labor at the construction site. 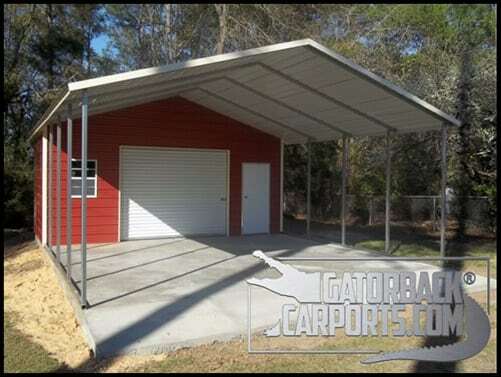 When you purchase your building from Gatorbackcarports.com you have the option to receive design drawings which reveal structural placement of tubular framing, or trusses, anchoring plans, and all of which wil be stamped by our enginneer licensed in the state where your building will be erected. “All building projects require the services of a building designer, typically a licensed architect or structural engineer.” as stated from wikipedia.org, but you may choose to have us design your building, and save $1000’s of dollars. We often offer sealed blue prints for only $100.00, and design services are available upon specific request without charge. We design metal buildings to meet the codes and regulations of your local area. 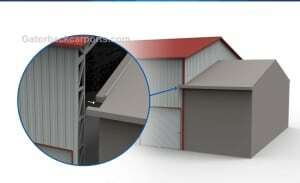 Roof Pitch– normally built with a 3 on 12 pitch ( 2 on 12 also) this determines the height at the center of your building measured at the ridge cap. The angle the roof rises to the peak of the building. 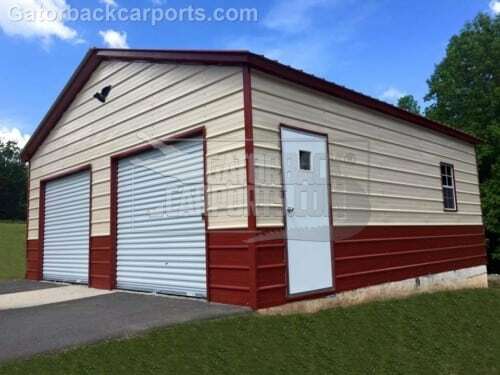 We have many options which include insulation, roll up doors ranging in size of 6×5 up to 14×14 certified or uncertified, 14 gauge or 12 gauge framing, and colors.